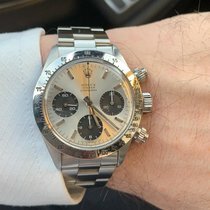 This Rolex has undergone a thorough inspection of water resistance, accuracy, functionality and condition to determine the level of reconditioning required to meet our strict standards. It has also been referenced against technical documents and manufacturer records where available to ensure authenticity and a clean history. 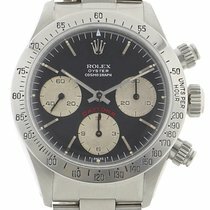 This is a pre-owned Rolex Daytona 6265. It has a 37mm Yellow Gold case, a Champagne Baton dial, a Yellow Gold (Oyster) bracelet, and is powered by a Manual movement. 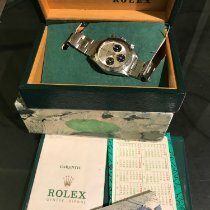 The case has a 5060xxx serial making it approximately 42 years. 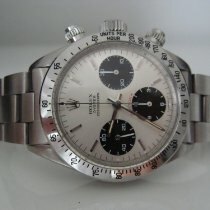 It is supplied with a comprehensive 12 month Watchfinder warranty.